I am attracted to buying the book «Forex for beginners» by Anna Coulling. However, I’m currently going through the babypips course. Will the book be much of a repeat of what I’ve learned from babypips? Would I be better off buying one of the more specific ones, like «Technical analysis of the financial markets» or «Japanese candlestick charting techniques»? Secondly, ANYTHING on FOREX FOR BEGINNERS is basically going to be the same. this is the gold standard. buy this book and skip all the rest and skip babypips school. 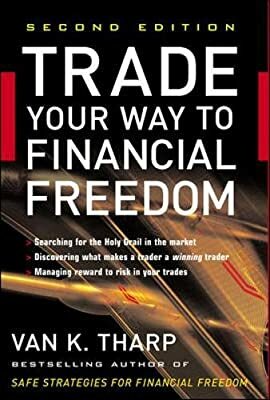 focus on this book the first 3-12 months before you start any other books. the babypips school is just a spin off of this book where they copy pasted the beginners stuff but did not go deep enough into explanations. doing the bp school will give you half knowledge with which you can not make any money. the bp school is not bad, dont understand me wrong, but it will put you to the standard of 99.9% of people who lose. you can download it for free. no need to buy it. Thanks a lot! That sounds great! I’ll send you a PM. Thanks for the link… but uh… is that strictly legal? eye catchers are the “sell side”-stuff made to appeal good to you. read my post above. yes its very legal. the book has been stripped off of copy fees as the author decided that quality knowledge should be free of charge. Thanks, I’ll hold on to that link then. you can order it on amazon. universities sell hard copy books of it. do some thinking. the book i posted you has 600+ pages. babypips school has roughly 40 pages of text if at all. 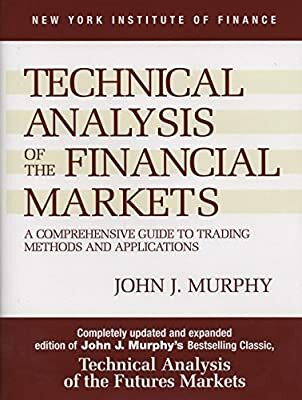 John J. Murphy is a former technical analyst for CNBC and director of Merrill Lynch’s Technical Analysis Futures Division. He is the author of The Visual Investor and Intermarket Technical Analysis. 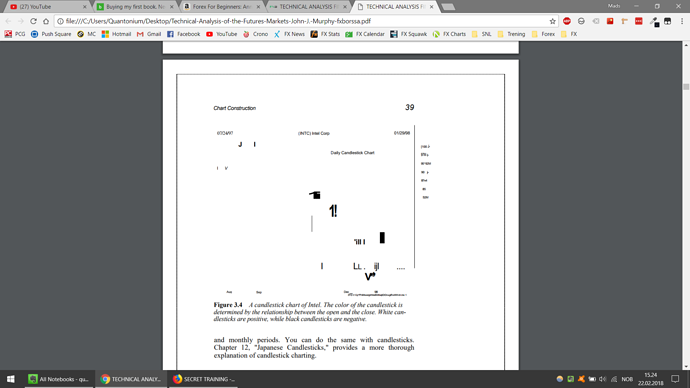 There’s some crazy stuff going on in the book pdf… any idea what causes it? no idea. maybe try with a different pdf reader. or a different free dowload. just google technical analysis of the financial markets free pdf. there are hundrets of free downloads. has to do with translation. Have any specific reason to buy this book? _ do not have this one - but I do have his “Intermarket analysis” and am a great believer in using his website - “Stockcharts” which is an invaluable source of quality information. "… the author cannot trade, that much is evident from the way she writes and all her other “writings” over the internet, along with her silly websites that seek to “help women to learn to trade”!!! In fact she has so many different websites it’s almost laughable to be honest. She got her “credibility” this way and is now trying to sell even more rubbish that she spouts along with these other systems that she has been made either a reseller of or is sponsored by since she got her audience from her websites and social media profiles. Believe me if she was really making that kind of money that she claims she does there would be no way she would be doing that things that she is doing now . . . Nowhere in any of her posts on social media has she ever laid any real money down for a position at all, it’s all vague commentary and other nonsense which is can be exonerated from any repsonsibility if they don’t turn out as she expected. Oldest trick in the book unfortunately. So knowing that this person cannot trade, does not trade, and her income comes from other sources, does anyone really want to learn from such a shyster? Or a charlatan to be more precise? If the public really knew what it takes to become a proper trader 99.999% of them would give it a miss, like this person obviously has…"
It seems that you will not gain much from engaging with this woman. Ok - I downloaded it from @MrDE s link and it came up fine - well what I actually did was to “open with Acrobat” then did a “Save as” - but the first few charts etc are all good. youre welcome anytime. yes i saw when @westbam posted you a link to intermarket analysis, you didnt like the advice but took it. im glad you took his/her advice and did read the book. if you did the school here then technical analysis of the financial markets is a must read. you will see very quick how many mistakes had been made with the school section here and how much in depth knowledge is actually missing. actually i wont call it mistakes, just the focus was different and i for myself dont think its good the way they stripped off the knowledge which they stripped off. anyways, when you move on to futures trading (which you will when becoming profitable) then read murphys technical analysis of the futures markets. its the original work before TA of the financial markets and a good go at futures and real commodites trading. youre welcome anytime. yes i saw when @westbam posted you a link to intermarket analysis, you didnt like the advice but took it. im glad you took his/her advice and read the book. I bought the book way back - early 2000’s. and was spread betting Dow futures then too,. Thanks for the advice though.